Disruption is an overused term. Every industry is undergoing some kind of transformational shift, and far too often the ‘disruptor’ title is applied to an underwhelming product or feature. A true mark of industry-wide digital transformation is when a new tool is brought into the ecosystem and effectively changes the way a non-connected workforce does their job. That was the problem Microsoft set out to solve with the first HoloLens, and actually, it was part of the problem. When the software giant first rolled out their wearable MR/VR play, they were not quite sure what users would do with it. Early demos showed people playing Minecraft, while others showed the HoloLens being used for healthcare education. That’s quite a range that you don’t see on more mature and purpose-built hardware. Microsoft has gotten a bit more finite with their second release, the HoloLens 2. Set to ship in late-2019 for around $3,500 USD, this new piece of MR technology focuses less on the Minecrafts of the world and more on the enterprise, which is exactly where Microsoft wants to play. 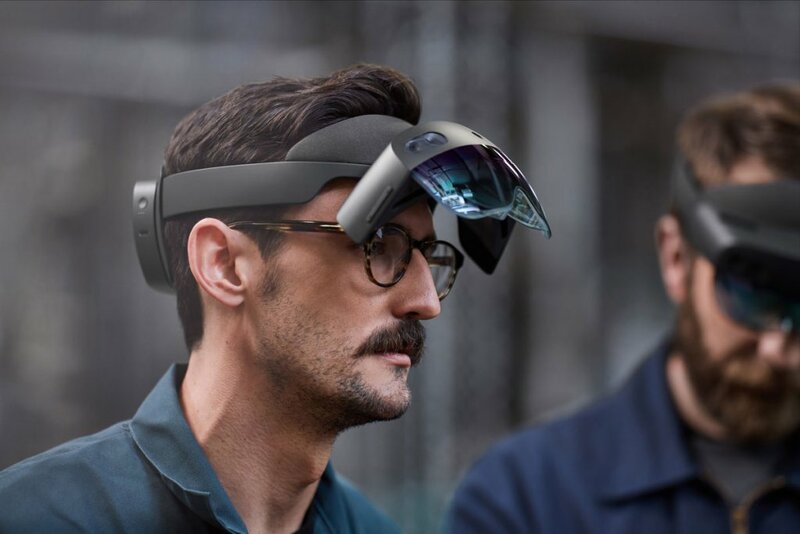 The biggest improvements HoloLens 2 has over its predecessor is a twice-as-big field of view and along with highly-tuned tracking that can identify where the wearer is looking and what their fingers are doing. The motion control is much sharper, and with an enterprise endgame in mind, this version is much comfier. It only weighs a few grams less, but the centre of gravity has been shifted, allowing for prolonged wear. This represented a whole lot more than the expected ‘lighter, faster, thinner’ specs. These changes represent a product maturing into the industries that adopted it early in ways that are truly game-changing. Craig Cincotta, a senior director with Microsoft’s HoloLens team, describes it fairly simply. Microsoft’s goal is to create an experience of “Something I couldn’t do yesterday, that I can now do today, that I can’t live without tomorrow,” according to Cincotta. There are dozens of use-cases for the HoloLens and its sequel right now. From design to manufacturing to art, anywhere a 3D model is used, the HoloLens has a place. Perhaps the biggest impact of MR technology has been in healthcare. More specifically, the realms of diagnostics, surgery, education and research. These fields are being disrupted by technology right now, and HoloLens is leading the way. At Microsoft, Eric Kamont is heavily involved with how the company works with partners in the MR world. 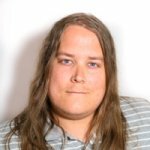 He manages strategic partnerships, meaning he is involved on a daily basis with some of the most cutting-edge HoloLens use cases in the enterprise business. The applications of this technology in healthcare is one of the tangible ways that any new technology is impacting greater society. Using the HoloLens 2 for educational purposes. Kamont points to Case Western Reserve University as a way the HoloLens 2 can impact the real healthcare world. The school’s enrolling class this fall will take part in a holographic anatomy course to replace the traditional cadaver lab. This might seem like a small step in the broader healthcare world, but it signifies something big to both the HoloLens team as well as cutting-edge medical researchers. 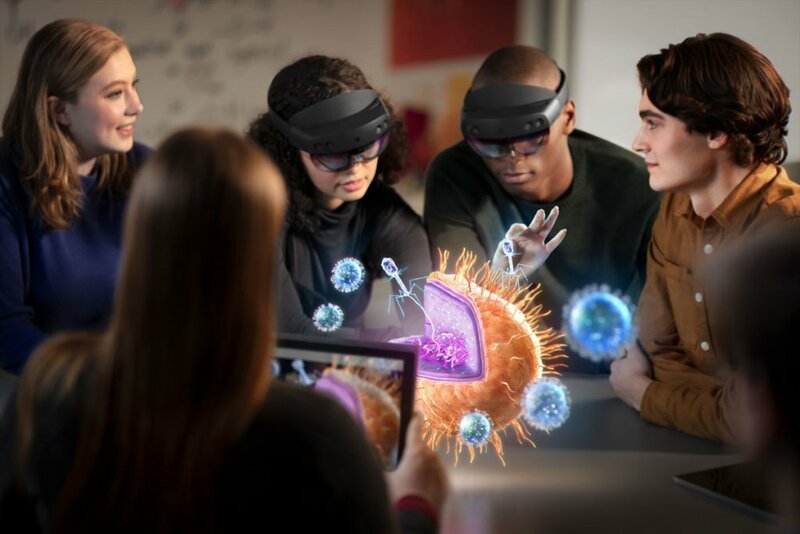 “You’ll have a whole bunch of doctors coming into the medical world that have been trained on HoloLens through accurate depictions of the body and being able to manipulate it,” says Kamont. This approach to learning may represent one of the biggest shifts in education in recent times. This new way to teach can focus on both visual learners as well as more traditional research-oriented ones. Think of it like this: someone may say they understand how a motor engine works, but if they have a fully accessible and interactive model of an engine to play with and effect, the experience moves from simple theory test to a deeper show of practice. The best part? No lost resources and no extra costs. Using technology like the HoloLens 2 also prepares its users for what the world in 30 years will look like. Technology is pushing to become more interactive, whether it is through voice, gestures, or even biometrics. By instilling the notion that MR is an effective way to learn, the next generation of workers will be that much more ready for the next wave of disruption. 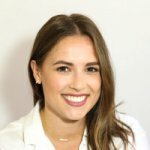 The development process for the HoloLens was simple in theory (though obviously difficult in execution): create a device that can help those are not connected at work engage with the digital world in a new and unique way. When Microsoft first rolled out the HoloLens, they were unsure what the reception would be. The MR and AR world was still incredibly nascent, and the biggest names in the world were only beginning to see what the technology could do. “In HoloLens 1, we gave birth to this tech, saying we have an idea of what you should do with it, but take it and do something with it,” says Kamont. The reception was mostly positive for the first HoloLens. But it immediately brought on some design problems for the second edition. Now that Microsoft was able to identify which industries best took advantage of the technology, do they start to develop around the existing successful use cases? Or do they continue to embrace the “here’s some clay, mold it” ideology? That balance Kamont mentioned then comes in the form of upgrading existing features and building out the device to become more accessible. Microsoft developers have an idea of where these new features can be applied in different industries, but it’s again up to the doctors, designers, engineers, and others to fully realize the digital transformation. Another example of working with partners and understanding the audience of the first HoloLens is Microsoft’s work with Trimble. Workers in the oil, gas, and construction industry needed to wear the HoloLens 1 while also wearing hard hats. That sounds easy enough, but when anything is attached to a hard hat, that attached piece must also follow strict safety regulations. Microsoft heard these concerns and introduced the Microsoft HoloLens Customization Program this year. The HoloLens 2 on a hard hat. 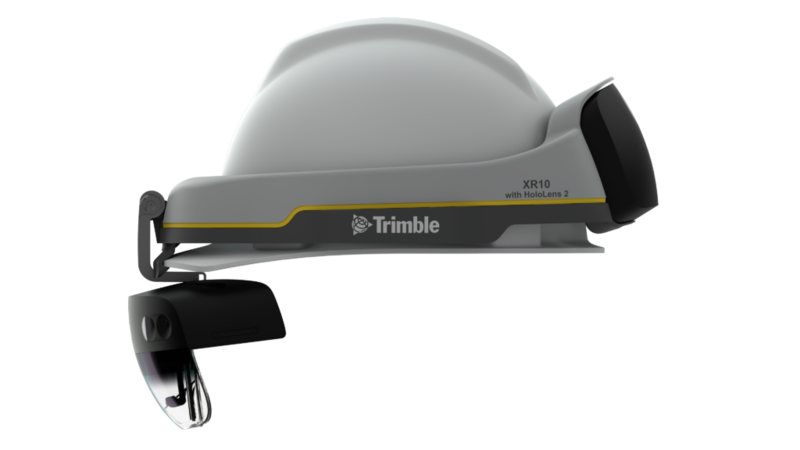 Trimble was among the program’s first participants, designing a solution that enabled the HoloLens 2 to be integrated with hardhats that fit any country’s regulations. That’s not all—there are currently ongoing discussions surrounding HoloLens integration with firefighter’s masks, doctor’s face shrouds, and welding masks. This is maybe the best example of Micorosft tailoring its technology to fit one industry, but also allowing that change to have a ripple effect on the larger community. At the heart of Microsoft’s innovation is the simple act to enable industries with technology in a way they have never seen. HoloLens 1 started that goal, and one of the best parts of Kamont’s job is to hear the stories of how MR can affect the world. All of that with a piece of technology Microsoft thought at one point might be a machine for Minecraft.